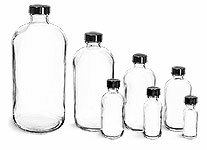 Buy the clear AS (acrylonitrile styrene) airless pump bottles with aluminum trim in wholesale quantities for the best possible price! 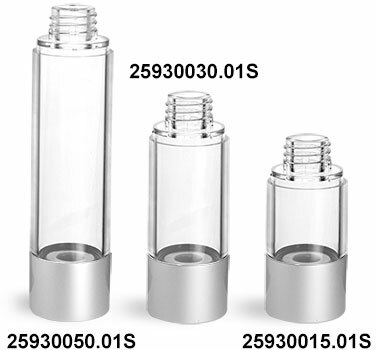 These bottles do NOT come with the matching Silver Airless Pumps and Caps. To add bulk quantities of the plastic pumps & caps to your order, please click the green add-ons button. As always, make sure to test your product with the container beforehand to ensure proper compatibility.